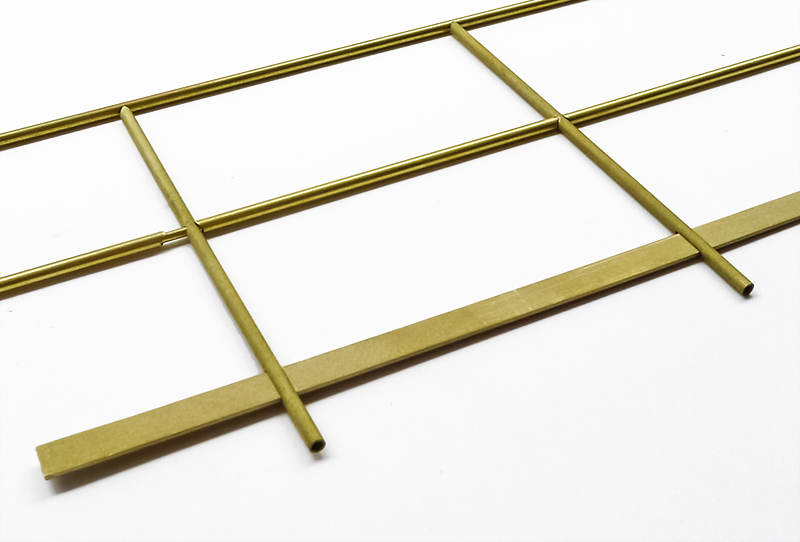 Sometimes there are small challenges, such as to solder a railing of 1.5mm brass tube. The special here is the lower vertical sheet metal. It is not soldered to the profiles, but embedded in the middle. Soldering this part between the posts is unlikely to be very durable in the long term. Brazing was eliminated because I would probably have received a very wavy result. 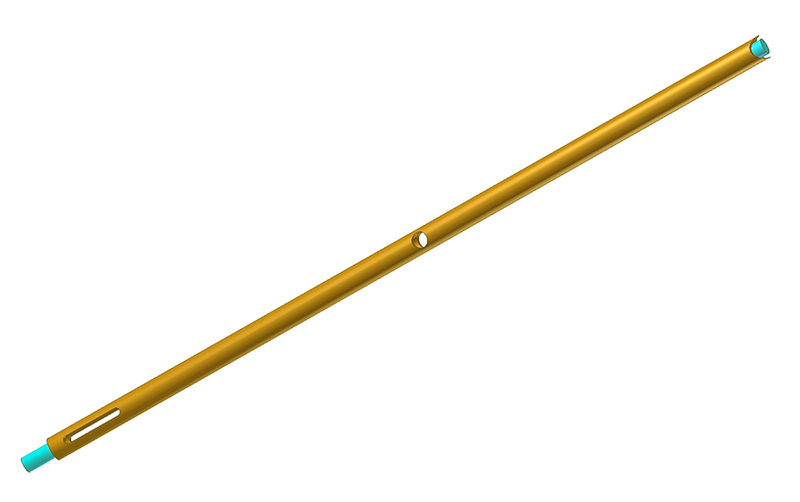 The 1.5mm brass tube should receive a 1.0mm hole in the middle, on top a 1.5mm rounding for the handrail and below a continuous 0.5mm wide slot. The cyan ends will be short 1.0mm pieces of wire to get more stability. 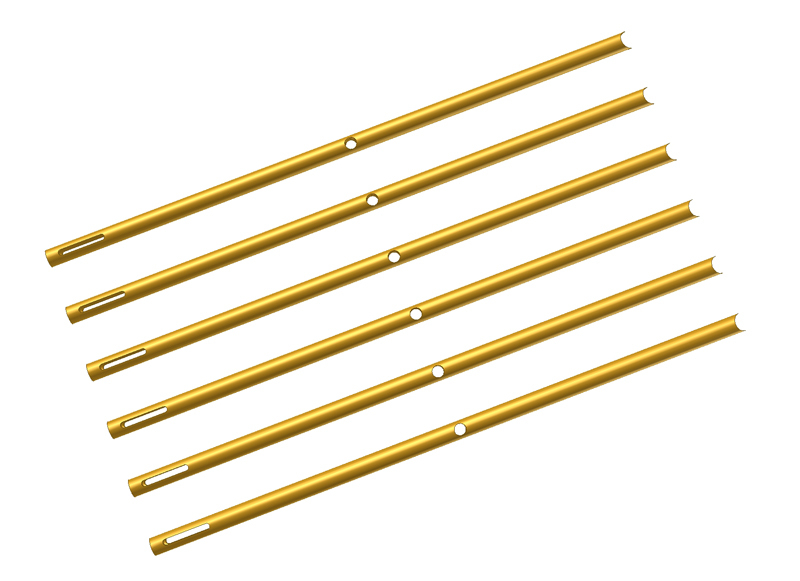 A two-part milling template was produced for 6 identical profiles. Into both the upper and the lower half were milled grooves with a 1.5mm ball cutter each 0.75mm deep. In these 6 profiles were inserted, covered with the upper part. Passer pins and 4 screws held everything in place. 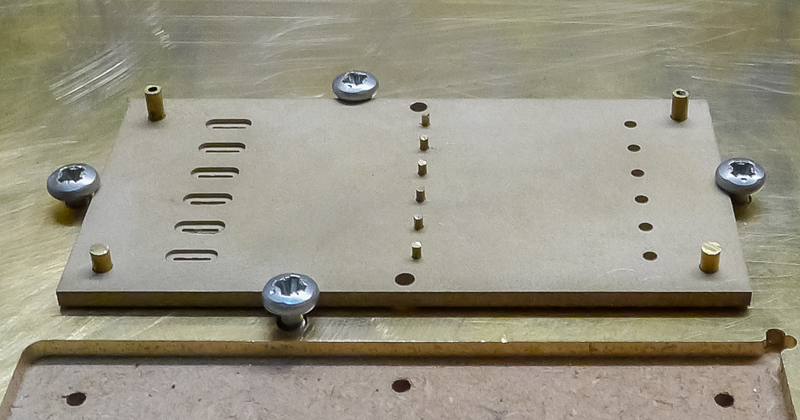 First, the 1.0mm holes were drilled in the middle. Short pieces of wire should prevent twisting during further processing (probably superfluous as the two parts of the template had already fixed everything). 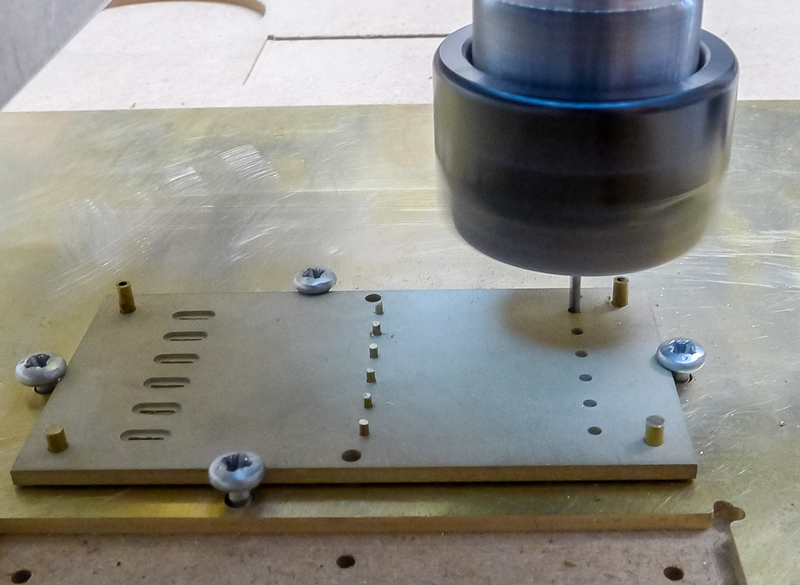 Now the 1.5mm drill bit for top rounding came, then the slot was milled with a short 0.5mm cutter. Two of these tiny cutters cracked right at the start, only when I reduced the feed to 10mm / min and dived in several 0.2mm increments, survived the third cutter. 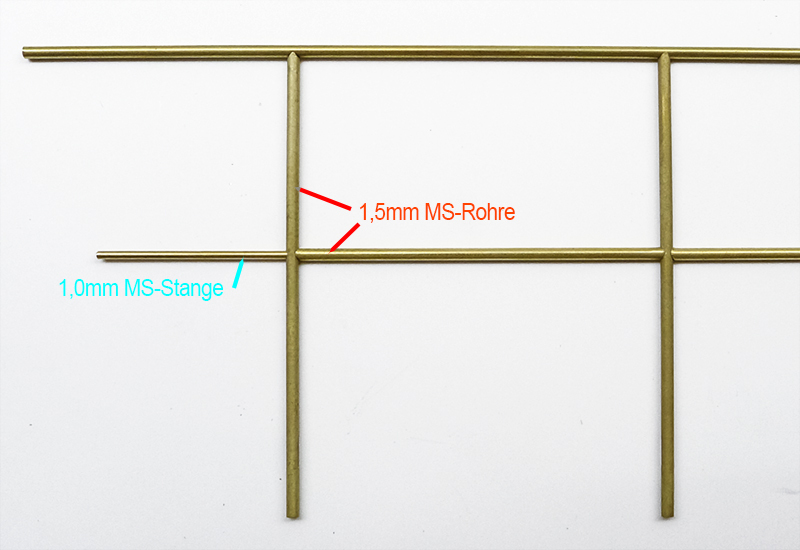 Together with the transverse profiles, which were also rounded at the ends in the same milling template, the parts were mounted on a 1.0 mm brass wire tfor testing. It is amazing and wonderful to see how easily you proceed to make templates and then create details like that railing. Those are skills completely beyond mine!!! 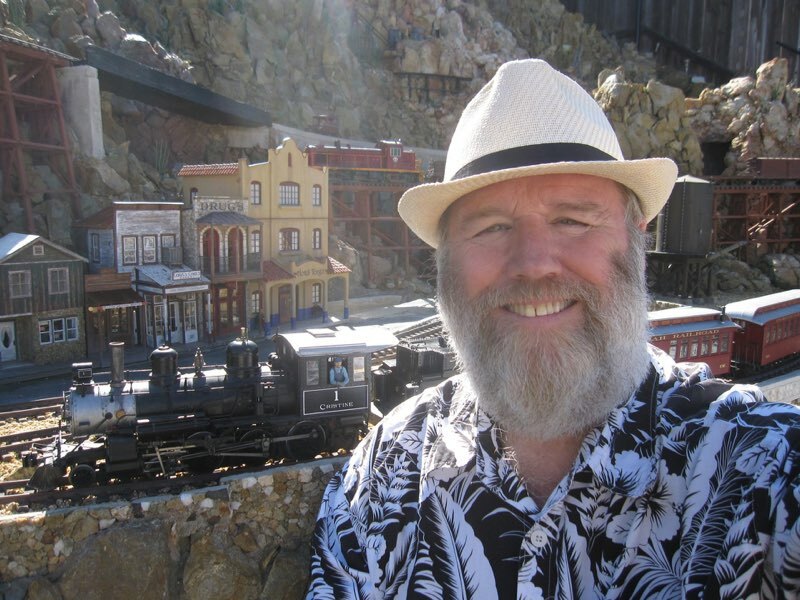 And Me to- just amazing ! 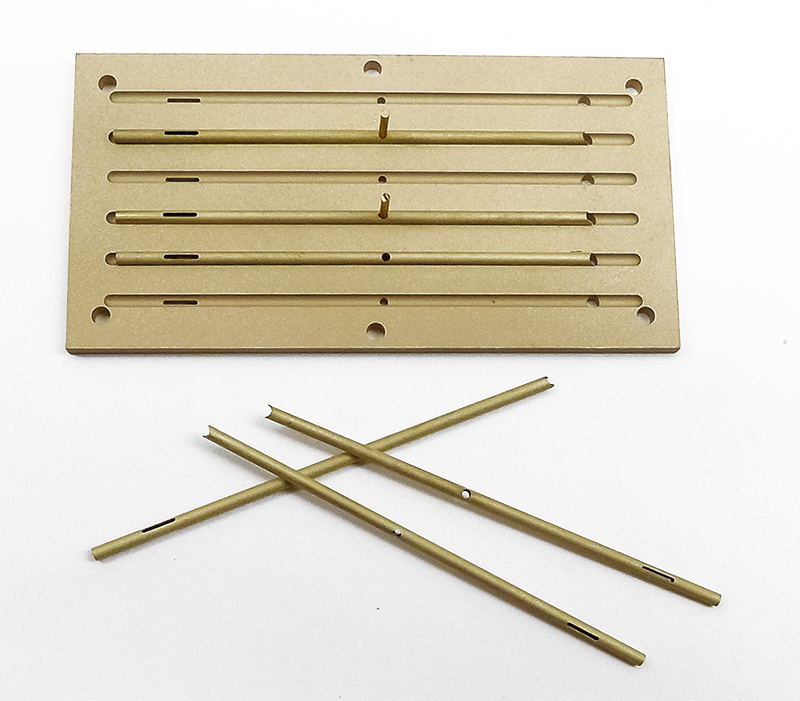 In order to solder several railings congruently, a gauge was machined from 5.0mm Pertinax. The different colors indicate the different milling passages with different depths. The yellow circles were milled through to get better with the soldering iron to the solder joints and not to burn the Pertinax teaching. 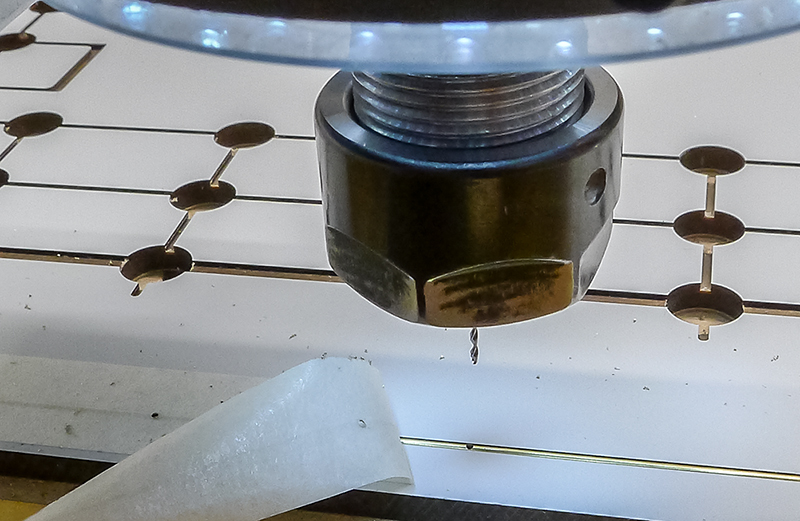 In addition, I've milled a 1.4mm deep groove with the 1.5mm cutter. 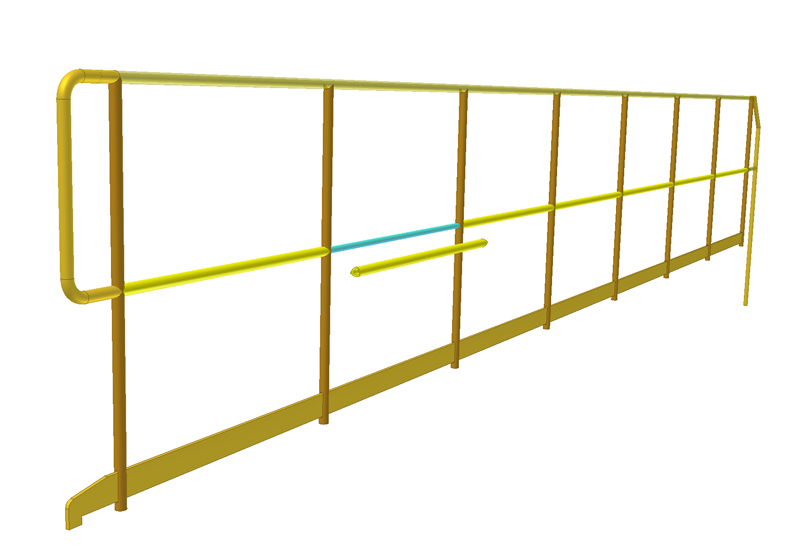 The 1.5mm handrails were inserted and fixed with Tesakrepp in the recess. 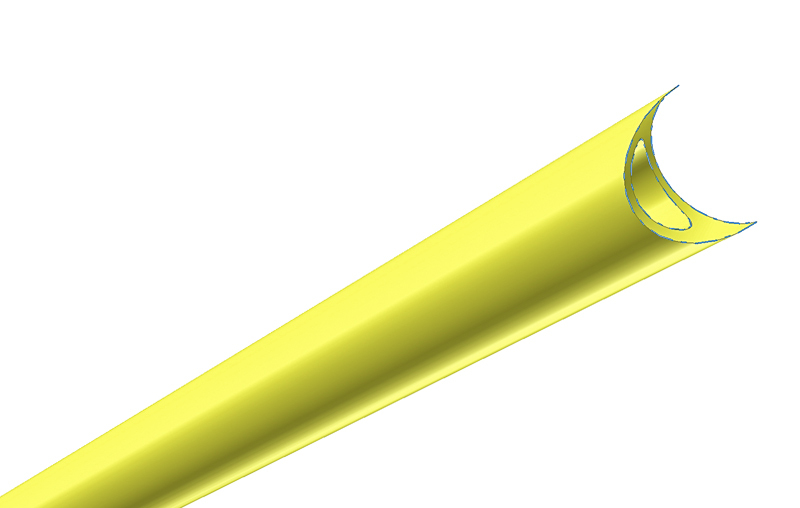 The fact that the thin tube protruded by 0.1mm, it could not turn when drilling (1.0mm deep). 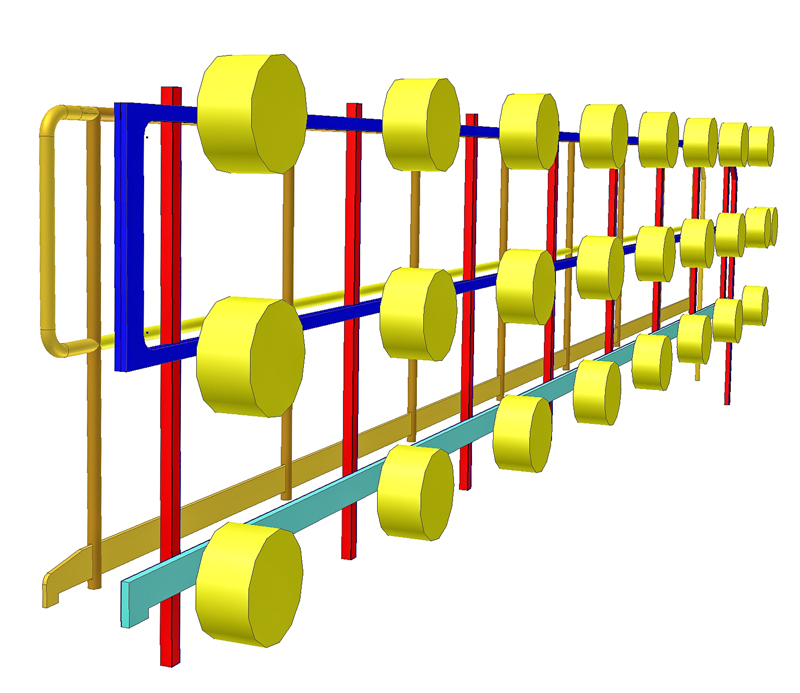 So all the handrails have got the 1.0mm holes for the fixation wires at the bottom (cyan colored drawn in picture Seitengelaender-lang_02). Holy cow, that is incredibly precise work!